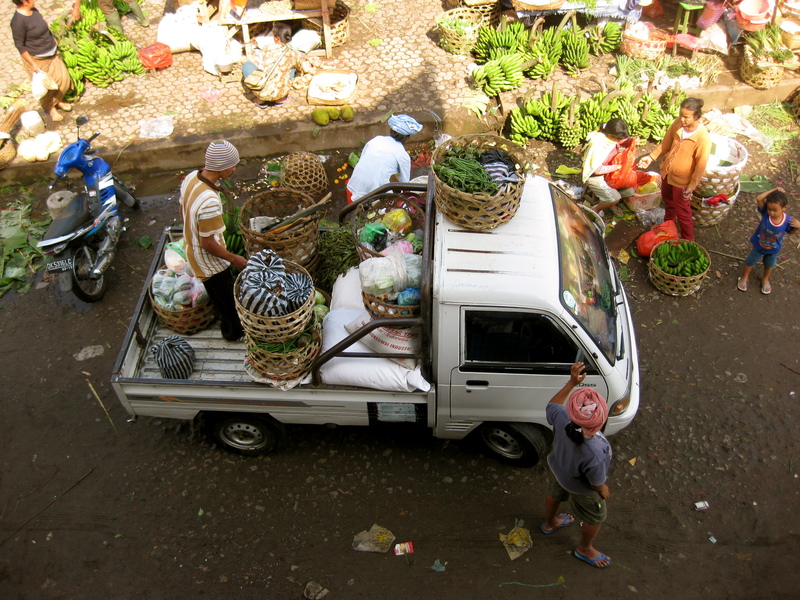 A visit to a market in the countryside near Ubud was the most “off the beaten track” experience in Bali. 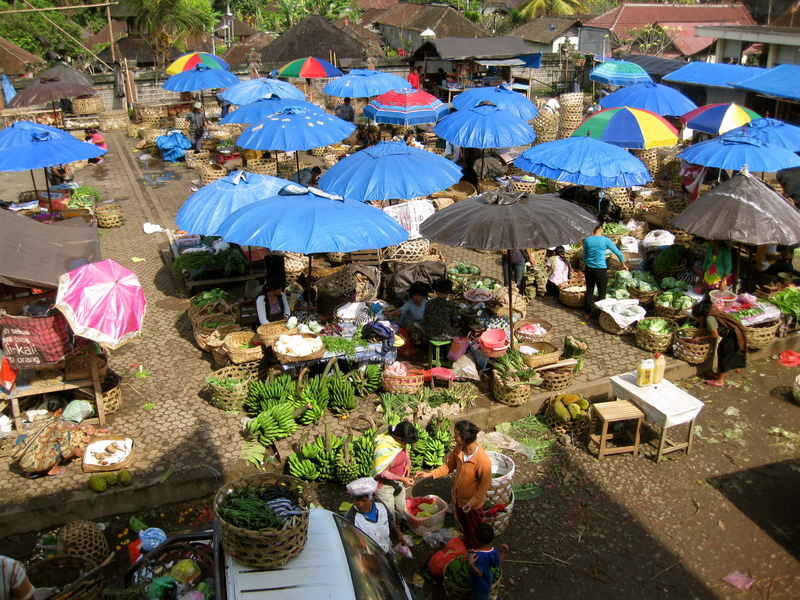 This is the ultimate farmers’ market, unlike any that I have ever visited. I’m not talking about homemade artisan granola, hormone-free-grass-fed chicken, or hearty linseed whole grain bread. 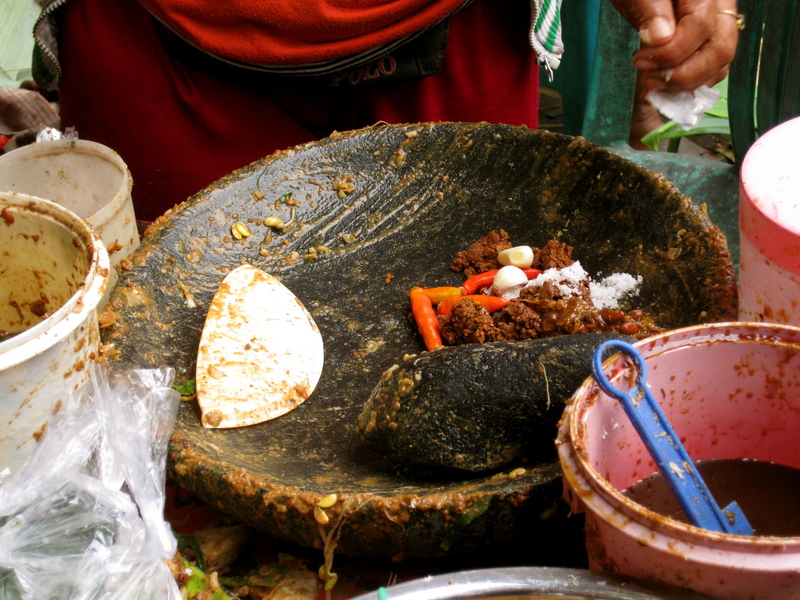 I’m talking dirt, grime, and deliciousness. 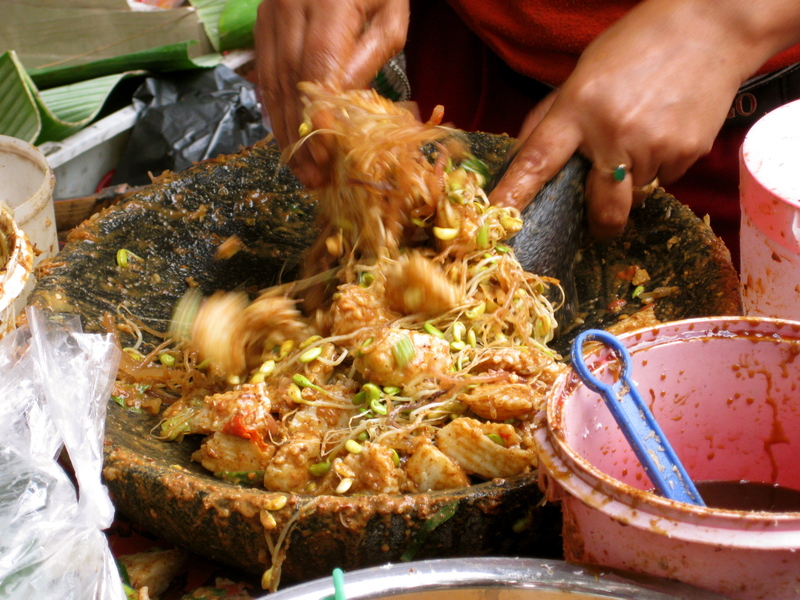 One woman was preparing Gado Gado, the traditional Indonesian peanut sauce that is served over veggies, fish, or meat. 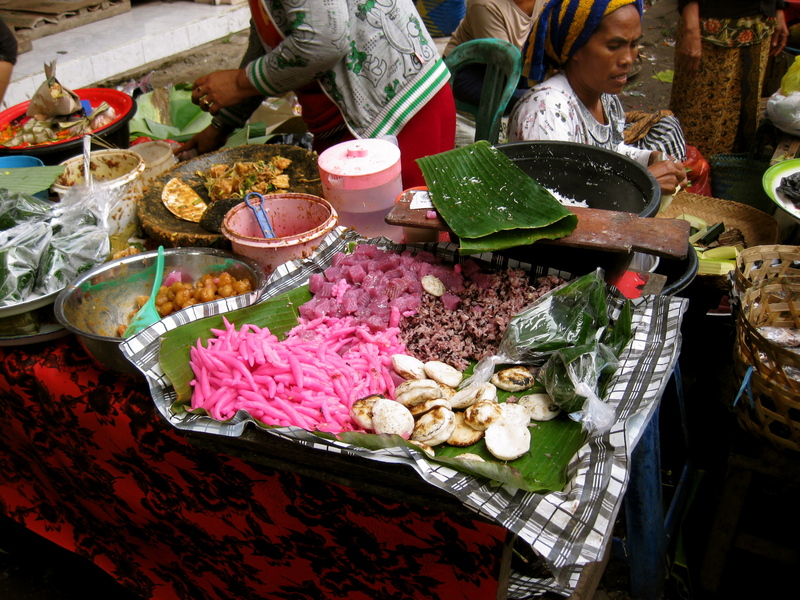 Despite how delicious it looked, we were warned not to order the Gado Gado because of potential food poisoning. 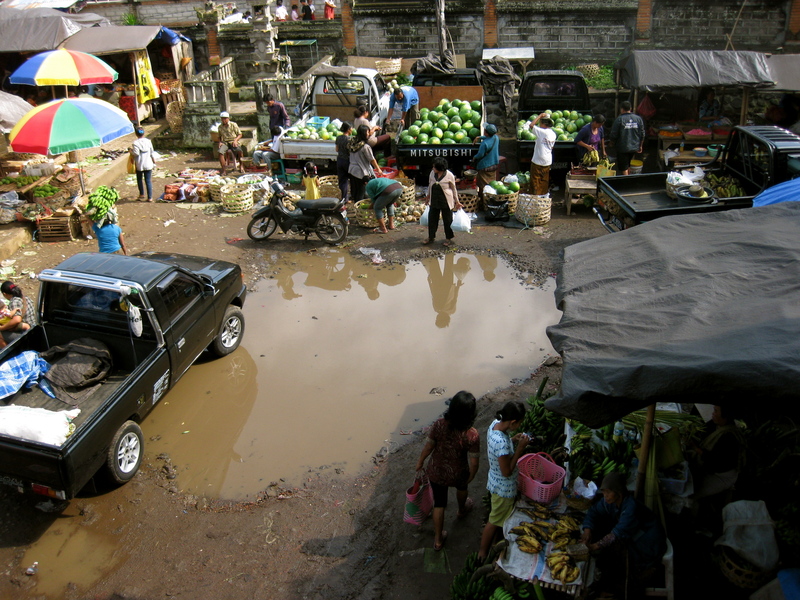 One of the saddest, most poignant moments was the glimpse of ducks for sale. 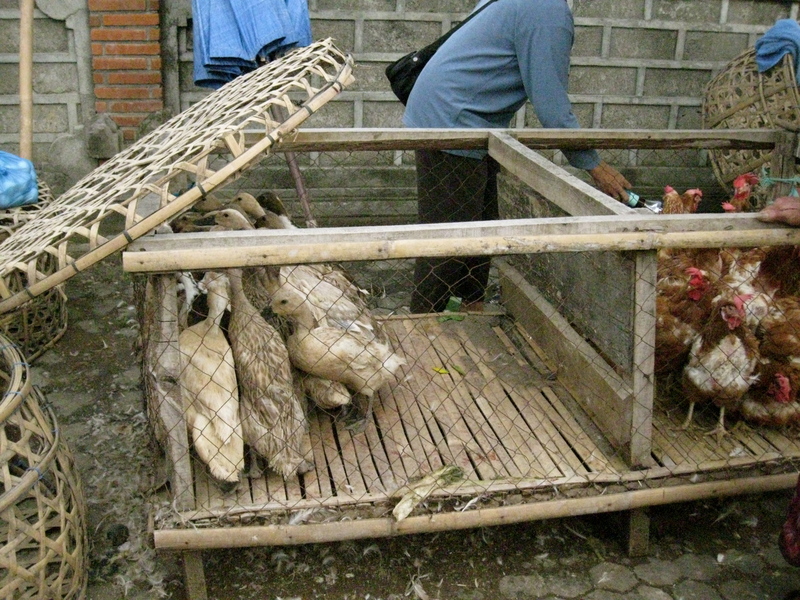 They huddled in the corner of their cage, scared of being chosen for someone’s next meal. Never have I witnessed such raw fear in an animal. 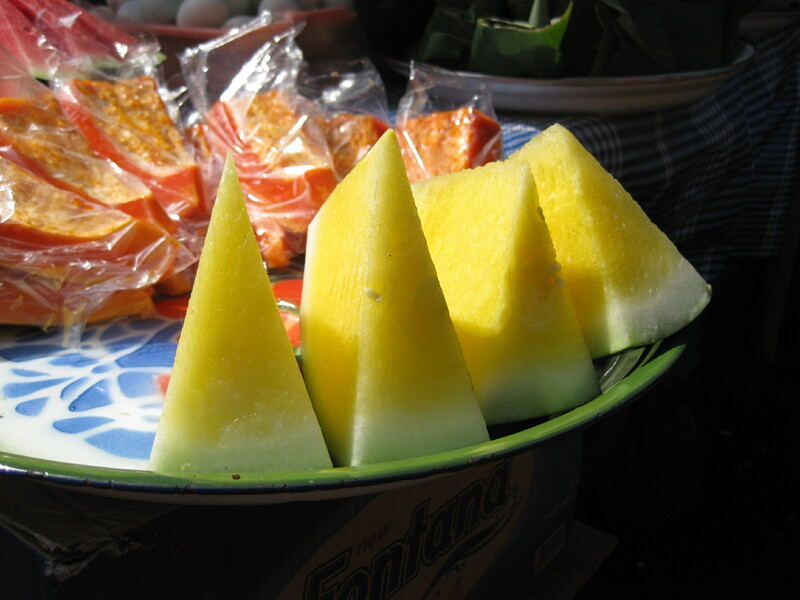 Fruits, like this yellow watermelon, permeate the marketplace.